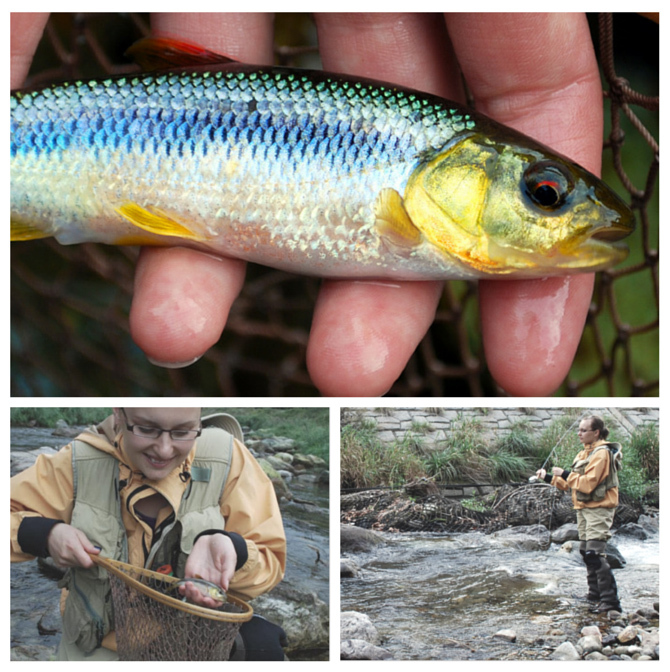 There is something special with the first fish of a trip or of a day or definitely first catch ever. I cannot remember my first catch ever. But every trip there is the first catch of the trip. And that is special. Quite often it is something else than what you are “aiming for”. The wrong species or just such a small fish that some people don’t count it. It has happened few times that I’m fishing somewhere totally new and exotic for me. Let’s say Japan or Bahamas. And what has happened is that of course I manage to catch the accidental mini-fish. Huge kawamutsu. The first ever catch in Japan. 2009. This huge kawamutsu that almost fell through the mesh of my net was my first ever catch in Japan. Based on the impression on my local friend’s face, kawamutsu is something similar if you catch a roach with a fly in Finland. But I was happy. It is my first day out in the turquoise salt-waters and in the sun. I’m totally amazed to be out there. It is a windy day, but for my Finnish standards it is warm and lovely. It’s a bite! Yes! Fish on! I’m totally excited, pull in the fish and reach over from the boat to get the hook off from my beautiful first ever salt-water catch. Behind me I hear the voice telling that it’s just a jack, and if I get it off quickly, I might still have another chance to cast for the bonefish. 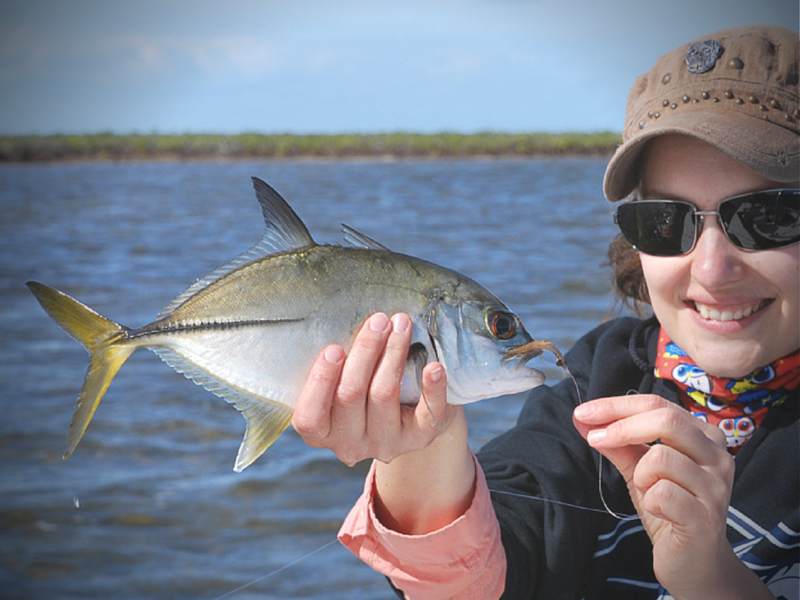 I hear a slight tone of “come on now woman, we had a chance for huge bonefish” –but the tone is quickly gone. And I get my picture of my first catch of the trip. And later my bonefish-superhero spots more bonefish for me, and I do catch the target fish, and it’s a perfect day, and all is good. 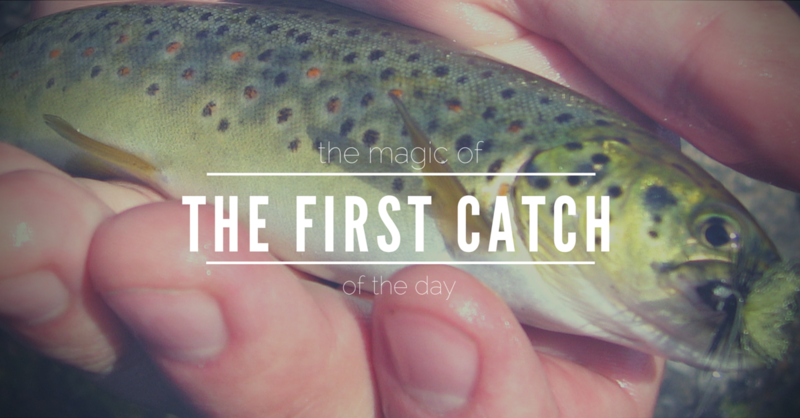 My superstitious view of fishing is that you got to respect the first catch of the day. If you don’t respect and take a photo of the fish, you might not get any more. Do you have any superstitious ways when fishing? For me , the first fish is more of a calming influence , until then i cant relax , although im always hoping for another ..